recommended for: People who loved Donnie Darko and Shutter Island. will i continue the series? : I guess there's a sequel? Not sure how I feel about that, but obviously I'll read it. A shivering thriller that toes the line between reality and madness, brimming with suspense and unexpected twists. You'll go in thinking you understand, and come out with your mind blown. I absolutely loved this book. I've said that a lot this September, but it's been a fabulous month for YA. Vault of Dreamers is an atmospheric thriller, pervaded with a sense of eeriness and of wrongness. I read tensely the whole time, plagued by the question: has Rosie stumbled upon something terrible? Is she dreaming? Is she going mad? All the hints of medical experimentation and sinister goings-on are layered over a fascinating concept in its own right, a 24/7 reality show where the students are the entertainment. Nothing is private. Not even first kisses and breakdowns. Not even your dreams. Vault's killer concept is bolstered by a twisty plot that delves into fragile human relationships and an endearing cast of characters. Rosie herself has taken some flack from the internet, but I enjoyed her tentative spirit and rooted for her until the end. And that ending . . . just wait. It's weird, confusing, abstract, and insanely clever. I closed the final page with chills. The opening wastes no time. Rosie skips her sleeping pill one night to find that another girl in her dormitory has been pricked with a needle and then wheeled out to nowhere. Rosie finds that she, too, has needle marks she can't remember. This mystery soon takes the back burner, because it's nearly decision day. The top 50 students with the most viewers will be kept; the bottom 50 will be cut, and Rosie is 96. I found it a little abrupt that we were introduced on the last day, and that Rosie had never talked to anyone before then and suddenly seemed ready to chat now. It didn't make sense. However, Rosie's efforts to increase her blip rank reveal her character beautifully. She makes a few friends and has a spontaneous romantic encounter with the dashing Linus. And when she's still too low-ranked and resigns herself to leaving, she goes to find the other low-ranked students, to explore their talents and give them a moment in the sun. Cue the drama. 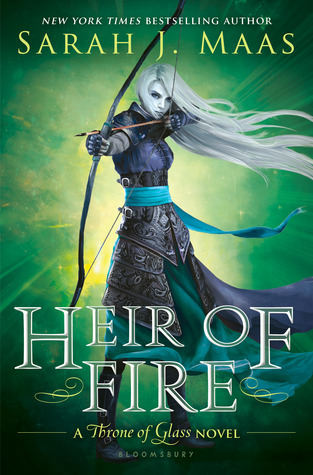 Obviously Rosie isn't cut--it's a 400 page book--and she's thrust into the full Forge experience. She's a film student, and her first class project gives her a perfect excuse to explore Forge looking for answers: what is happening to the students at night? With the help of Linus, a worker, and Burnham, a student, she explores the hidden places of Forge. Only to find a deeper plot brewing. Her night footage is erased by morning. She's harangued by voices in her head, dejavu, hallucinations. Madness or something they're doing to her head? Most everyone seems to think she's crazy, and her few allies are in just as much danger as she is. Rosie is assaulted at every turn. When you think she's gaining traction, something happens to push her back. At the same time, you're left distrusting your own head as you contend with questions of reality and madness. This all culminates in a shocking ending that will frustrate some readers, but I found its vagueness and its creepiness perfect. The romance. Eh. It was cute. There were no professions of undying love. It moved a little quickly, but I suppose teenagers do that sometimes. Science-fiction psychological thriller set in 24/7 reality show boarding school. Did I grab you, yet? The two elements of this world fit together seamlessly. The Forge school is interesting on its own, with its rankings and fans. It's also the perfect cover for some sinister medical experiments--or are they? Is it all just Rosie, mentally decompensating? 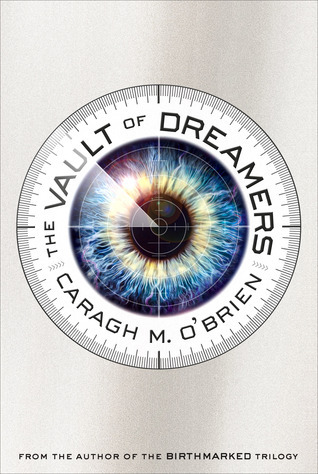 O'Brien definitely plays with the line between reality and madness throughout the book, messing with your mind in a way that never lets you breathe. It's exhilarating. The futuristic element of the book is less well-developed. We're far in the future and obviously something dreadful has happened to America. A lot of reviewers hated the lack of development. I actually didn't much care. I was satisfied with the school. The strange sleeping pods and medical procedures hinted enough at future technology for me. I also cared much less about the world at large, because the world at Forge school was more necessary. That said, O'Brien could have amped up the technology and language (future slang, for instance) to really sell her setting. I feel bad for Rosie. Much of the internet seems to find her bland and samey. I didn't feel this way at all. She's definitely on the tentative side, shy and impressionable. However, I thought O'Brien did a lovely job of making her grow. Even that first day, there's clearly fire in her. She skips her pill against orders and seeks refuge in the rain. She misses her sister. She sits with a girl having a breakdown, trying to comfort her. She obsesses over the mystery of the sleeping pods and breaks the rules to investigate. I found her completely believable, and endearing. Other characters show varying levels of sophistication. Linus was instantly charming, snarky, and loyal, but he had a dark backstory that was never fully explored. I also loved clever Burnham, but he showed hints of emotional depth that were overshadowed by other plot elements. The girls got the shortest stick. Janice and Paige were respectively sweet and acidic, and I wanted to know more. But they were definitely underdrawn. As for Rosie's family, I found them vibrant enough to serve their purposes, and Dean Berg was the perfect mix of mysterious and sinisterly charming. Plot definitely trumped style here, but style was certainly not ignored. O'Brien doesn't have the tight diction and soul-crushing phrasing that I love, but she's a solid writer. She reminds me a bit of Suzanne Collins. There are moments of tenderness and prettiness, but it's mostly very matter-of-fact. The dialogue rings true for teenagers, though perhaps not future-teenagers, and the descriptions are compelling without going overboard. I didn't gush over the writing, but I didn't find anything to complain about, either. O'Brien is a wizard with pacing and suspense. She set up the whole book very carefully, inserting lulls just long enough for you to get comfortable before she smacks you in the face with a new twist. The first half of the book lags a little, but I found it appropriate. You're just learning about the school. You're not even sure something bad is actually happening. It also gives you time to explore Rosie's relationships with other characters. Cue the second half, where something terrible happens and there's suddenly much greater need for answers, quickly. Vault kept my interest the whole time, and left me gasping.